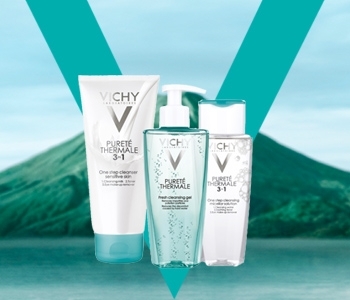 The Vichy Cleansing collection provides perfect efficacy and optimum skin comfort. The range of cleansers are a beautiful innovation for sensitive skins, working to restore the equilibrium of skin daily. Vichy Cleansing products are based upon active ingredients renowned for their make-up removal efficiency and segmented by skin type, to meet all women's expectations and personalise the routine for optimum make-up removal results.